The MEND™ Protocol brings together 30 years of scientific research and a team of highly respected Alzheimer’s researchers, doctors, and advanced technology. Our approach to age related cognitive decline, dementia, and Alzheimer’s disease is based on a deep understanding of the molecular biology of the brain – and the bodily systems that support it. 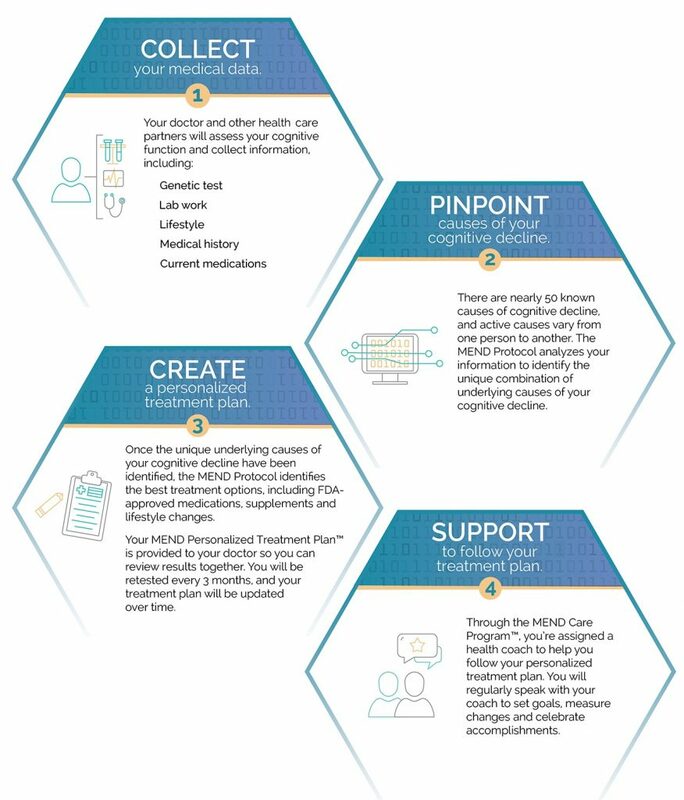 By combining medical expertise with technology, we work to identify the underlying causes of your cognitive decline, and then guide your doctor and support team in correctly treating them. The MEND Protocol identifies your optimal interventions, including FDA-approved medications, supplements, and lifestyle changes. Our MEND Care ProgramTM then helps you follow your personalized treatment plan by providing you with the support and tools to set goals, measure changes, and celebrate accomplishments. Is MEND Protocol a Good Fit for You? 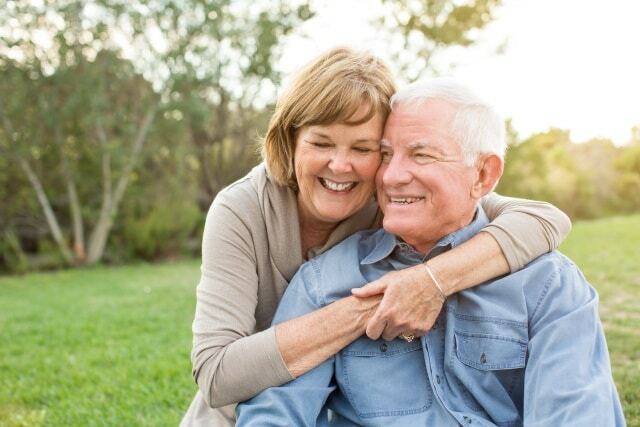 The MEND Protocol is specially designed for those with cognitive decline, including those with mild cognitive impairment (MCI), mild dementia, and mild Alzheimer’s disease. Ideal candidates are generally healthy, younger than their 80’s, and are motivated to take the necessary steps. It is also applicable to pre-symptomatic individuals and those with a family history of Alzheimer’s disease. If you or a loved one are experiencing any of these issues or have a history of Alzheimer’s disease in your family, (repeat information on how your patients can get started; emailing, calling, going to Muses Labs’ website) today to start making informed treatment decisions for your memory.